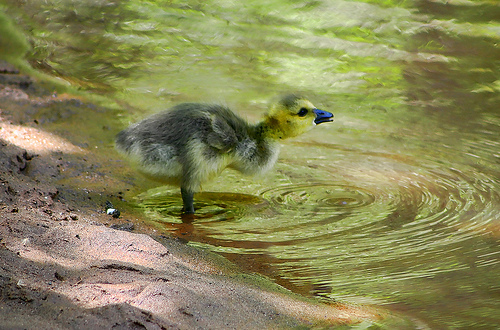 This entry was posted in Animals, Art, Back Roads, Digital Art, Images, Nature, Photographic Art, Photography, Photos, Photoshop, Spiritual, Visual Arts, Wildlife and tagged baby, bird, Canada Goose Gosling, D L Ennis, Just a Little Drink, Nature, Wildlife. Bookmark the permalink. She just looked the other way gary. Thanks for the visit and comment! Wonderful shot! We have goslings here but they look like dust bunnies!